Self Cure Remedy details of Drink evening primrose oil tea for the care and relief of Asthma, including effectiveness and popularity scores of the remedy. Due to its anti-inflammatory properties, evening primrose oil has been found to be a good treatment for treating coughs associated with asthma. Steeping one teaspoon of dried evening primrose flowers in a cup of boiling water for 5 minutes. After steeping, simply drain the leaves and pour the tea into a mug with one teaspoon of honey as a sweetener. Repeat this twice per day. Do not take evening primrose oil if you are pregnant. 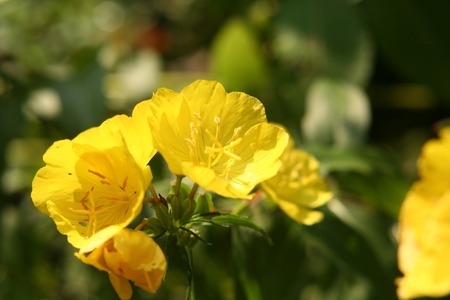 Evening primrose oil might increase the chance of bruising and bleeding. Do not take it if you have a bleeding disorder. Taking evening primrose oil might make seizures more likely in some people. If you have a history of seizure, avoid using it. Evening primrose oil might increase the chance of bleeding during or after surgery. Stop taking it at least two weeks before a scheduled surgery. The self cure remedy of Drink evening primrose oil tea for the care and relief of Asthma has an effectiveness score of 1.6 and a popularity score of 5 on the self-cure system.